"My cigars have mould!" Shock! Horror! "What is this white stuff on my cigars?! Plume or Mould?!?" 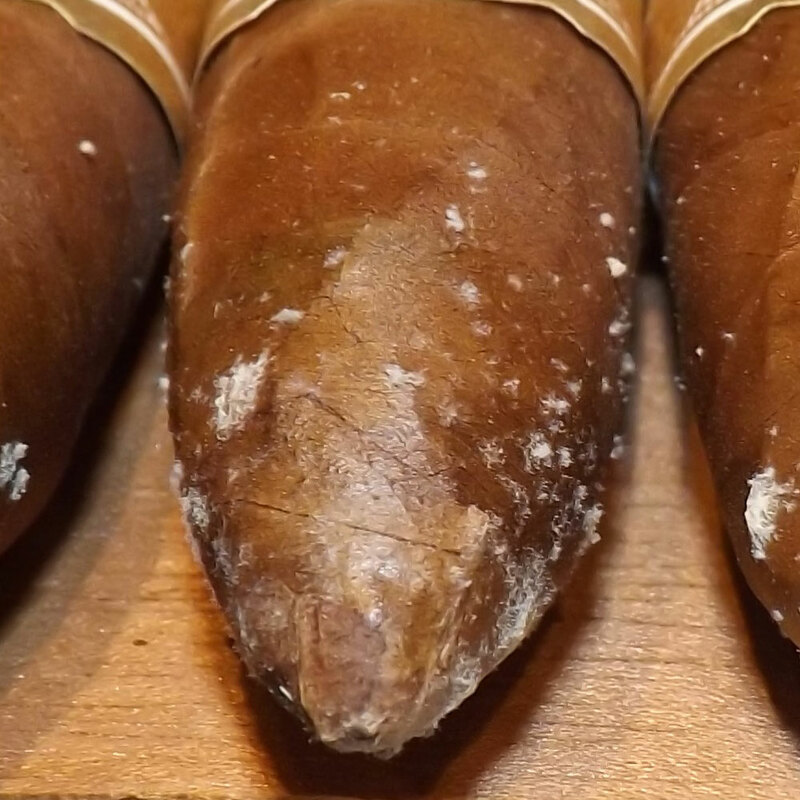 This is what we know as 'plume', a rather wonderful sign of a cigar maturing correctly and no need for concern at all. Simply wipe off with a soft tissue and smoke away! We don't take the plume off before shipping as so many of our experienced smokers prefer to see it on and wipe it off themselves. So how do I know its plume? 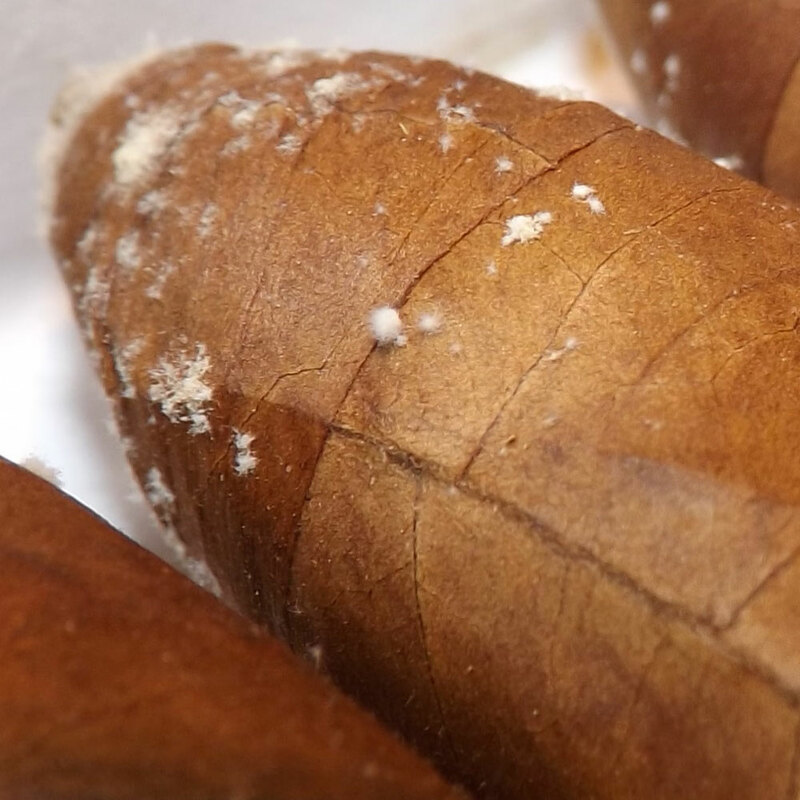 Well, with the benefit of 35 years of smoking premium cigars I can honestly say I have never ever seen mould on a single cigar and I have seen quite a few cigars as you can well imagine. Plume can be wiped off, mould cannot be wiped off as it permeates the wrapper (I understand it also smells rather awful.) I sometimes wish that someone would actually have a cigar with mould just so I could see one. 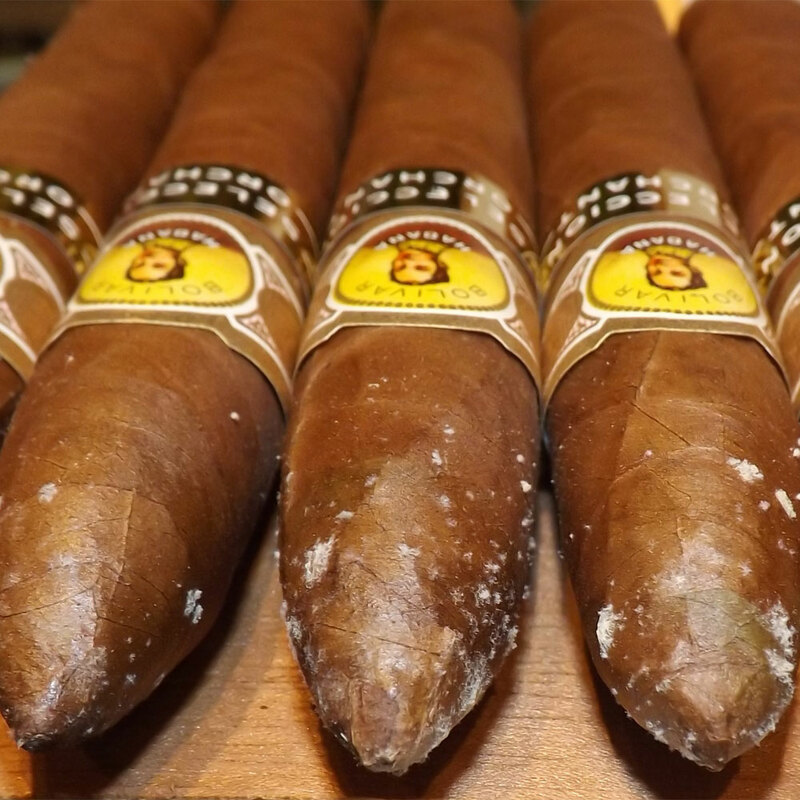 Another frequent email we receive is clients panicking as they see small white/green/yellow patches on the wrappers of their cigars. Again, no cause for concern, these minor wrapper imperfections are typically under fermented leaf or leaf that has been 'touched' by the sun shining through breaks in the muslin covering the leaf where the tobacco plants are grown. 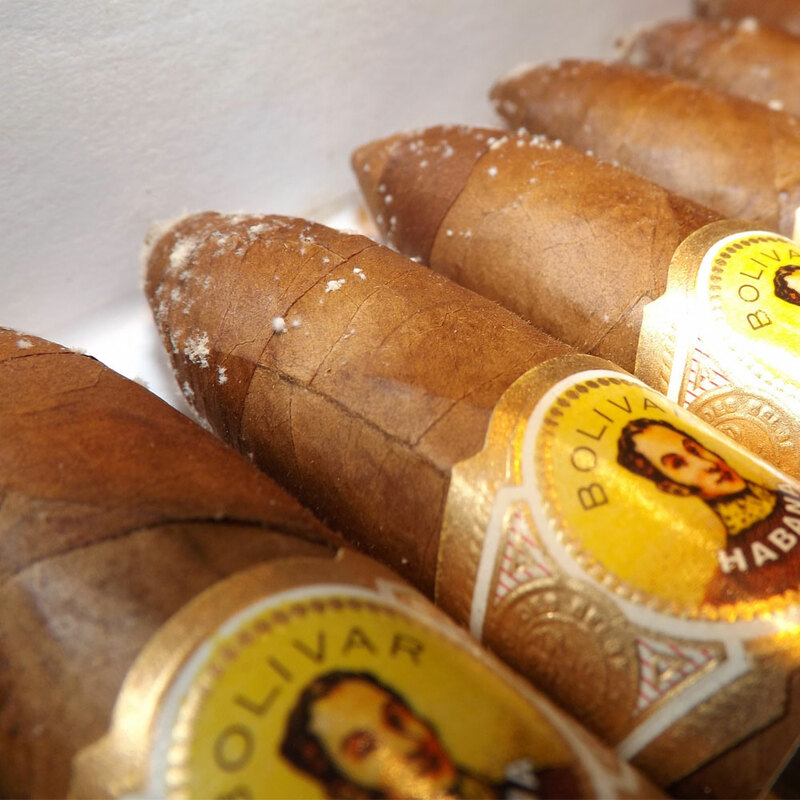 The cigar smoking experience is not affected at all.